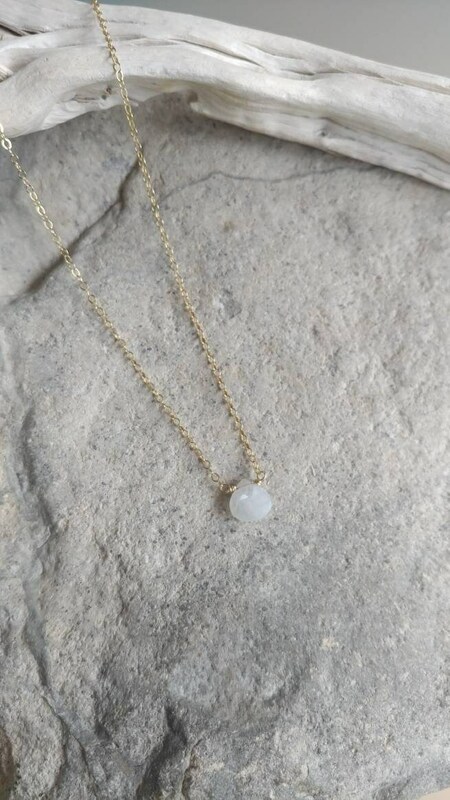 A simple tiny yellow moonstone briolette stone suspended from a delicate gold filled or sterling silver chain. 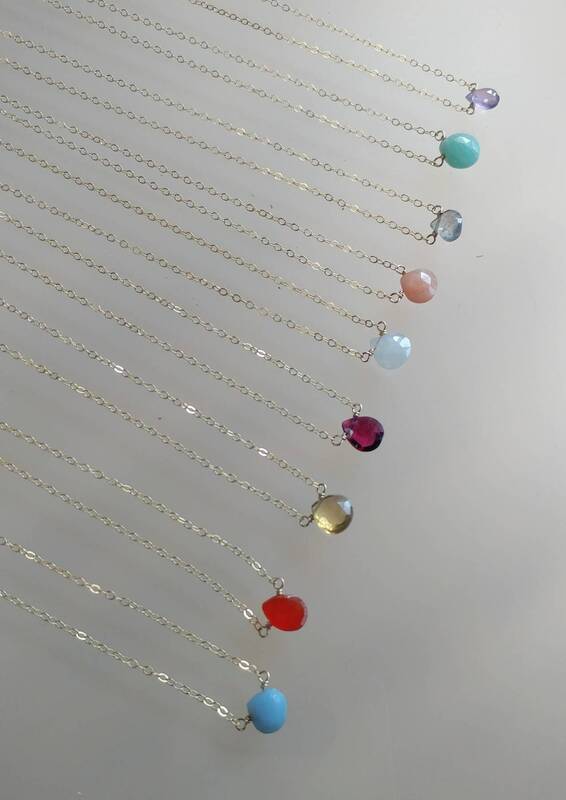 Perfect for adding a touch of color to any layered ensemble. 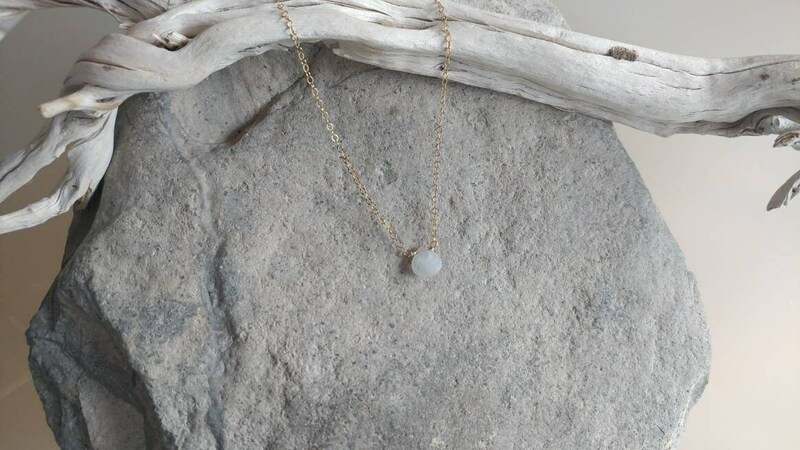 The stone is a tiny 7mm and a beautiful opaque creamy yellow color. It matches everything! 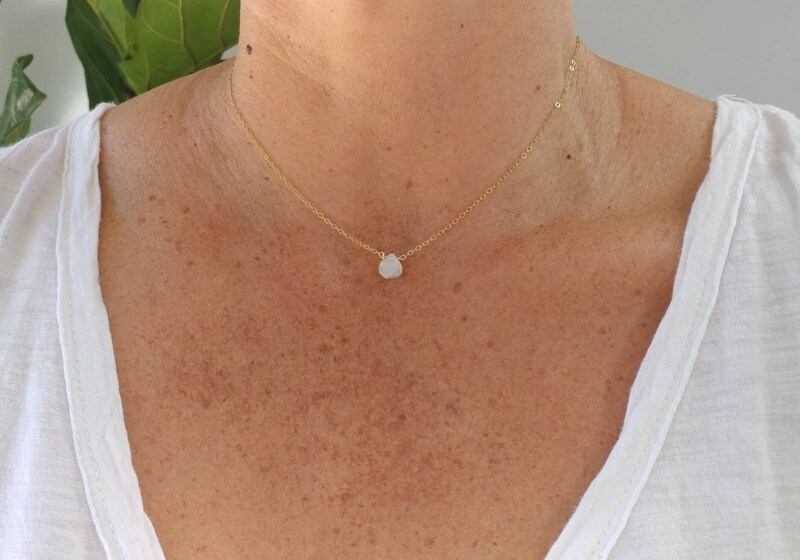 * Please note that this is not your typical white moonstone. It is a rare creamy light yellow color. Shown here in 16" length. All items are gift wrapped and sent without a receipt, unless otherwise requested. Please let me know if you would like a card enclosed, I am happy to print a custom note for you and enclose it in the package. 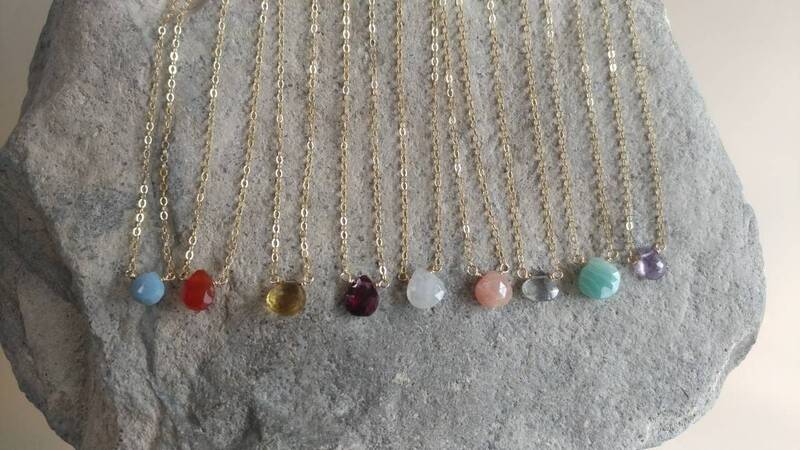 All items are handmade and I guarantee the workmanship and quality of all my products. I guarantee against any tarnishing or breakage. However, if you should encounter such problems, I will gladly replace or repair your item free of charge. Please see my terms and conditions for information on how to request a replacement or repair.